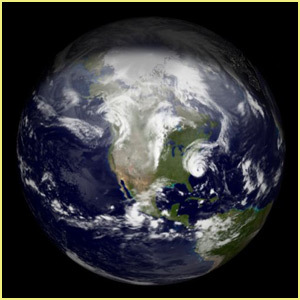 "The Earth is currently moving through a general pattern of clearing Herself. And most of you, as microcosmic "Earths," are clearing yourselves right along with Her. When we use this expression "clearing," we are not referring to the elimination of certain energies, in preference over others. Instead, we are speaking of the NEUTRALIZATION of all energies, to the degree that they touch or interface with each other.......creating a "buffer" zone of interact, which serves to lubricate and harmonize your process of being together, sharing, and moving together as One. That which aggressively seeks to dominate or block the essence of another, in the dispatch of daily life, is being given CENTER STAGE right now, so that certain modifications can be made in the character and essence that is involved in that mindset. We spoke about this process, in depth, in our transmission about the Vortex Merkaba. We will expand more on that topic now. Many of you, especially those of Theosian origin, have commented to us about feelings of constant conflict, within your souls---as though beings from various polarity relationships are fighting each other---vying for dominance in regard to where you will go and what you do in any given moment. At one point in our communications, we referred to this as "an irresistible force, meeting an immovable object." Those of you who are more Chaosian in origin, have commented on an increasingly uncomfortable feeling of being trapped in physical form, losing the freedom that you once felt you had.